Warning – a bit of a silly rant ahead…..
One of my pet peeves is the current fad of calling almost any sort of Mediterranean-looking dip “hummus”. These days, they don’t even need to contain tahini. Pinterest is FULL of pins to recipes for black bean hummus, avocado hummus, zucchini hummus – I am very particular with what I consider hummus. If it does not contain chickpeas, I do not consider it to be ‘hummus’. It’s a dip, probably a very yummy one, but NOT hummus :p In fact, it is due to the explosion of non-hummus hummus recipes that I thought hard about the title of a previous post, Hummus with Parsley . I’d call it Parsley Hummus, but though it is an actual hummus with parsley, I thought calling that might cause people to think it was a Parsley Tahini Dip , without chickpeas (which I also have previously posted 🙂 ) This rant is not regarding those recipes like Artichoke Hummus, that contains a chickpea hummus with the addition of artichoke hearts. The word Hummus (Arabic: حُمُّص‎) is the Arabic word for chickpeas. The full name for the bean dip commonly called hummus is actually hummus bi tahini – which means chickpeas with tahini. Yes, I personally consider tahini essential to a good, proper hummus, though there are other people who will also make you a good bowl of hummus without using a drop of tahini. 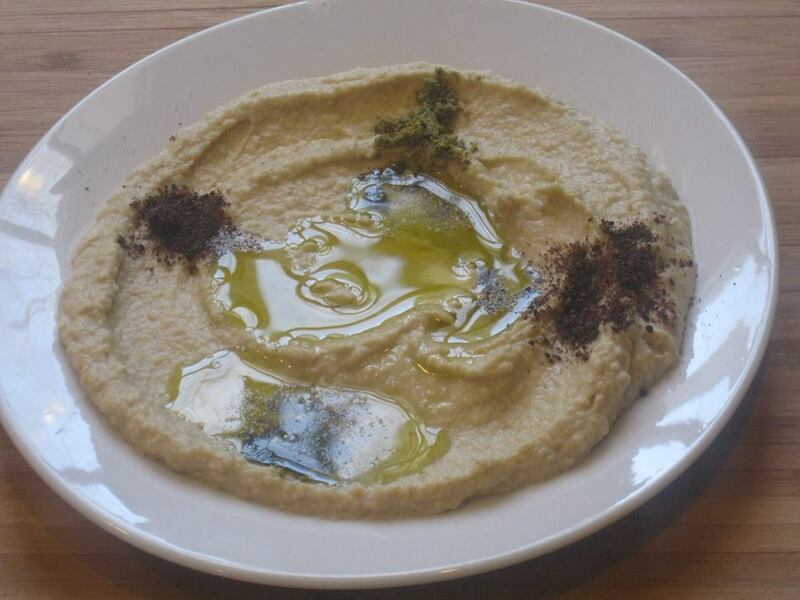 I’ve posted a couple of hummus variations already, but here is my recipe for a basic hummus. This uses canned chickpeas, but you can use the equivalent amount of soaked dried and cooked chickpeas. It is very good when you have the time to soak and cook dried chickpeas, but if you are short on time, or forethought in planning, canned chickpeas also work. You can use this as a starting point for your own variations. If you like, you can add black beans, avocado, zucchini, or any other flavor you think will taste good, but please, for the love of cupcakes, do not call it hummus if it does not also contain chickpeas. Top with – More extra virgin olive oil for serving, you can also add toasted pine nuts, a few whole chickpeas, some hot sauce, or a sprinkling of zaatar or sumac spice. Pour chickpeas into blender. Add reserved liquid, up to half the level of the chickpeas. Add garlic, tahini, olive oil, lemon juice, cumin, and salt and pepper. Blend, adding additional liquid, if needed, to desired consistency. Spread hummus in serving plate, topping with a generous drizzle of olive oil on top.